The summer heat or the winter chill? September showers or May flowers? Let us consider each of Japan’s four seasons now, and what might make each of them ideal for your next Japan adventure. Depending on how you feel about cold weather and snow, Winters in Japan are either incredibly exciting or unbearably chilly. Temperatures reach minus numbers in many areas, and the Northern winds do nothing to appease the cold. However, Japan also experiences some spectacular snowfall, and if winter sports and winter sightseeing appeal to you, late January/early February are ideal times to visit. In particular, the mountainous areas of northern Honshu and Hokkaido have fantastic ski resorts. Hokkaido is also home to the famous Yuki Matsuri (Snow Festival) in Sapporo, where there are spectacular displays of intricate ice sculptures every year among other fun winter activities. 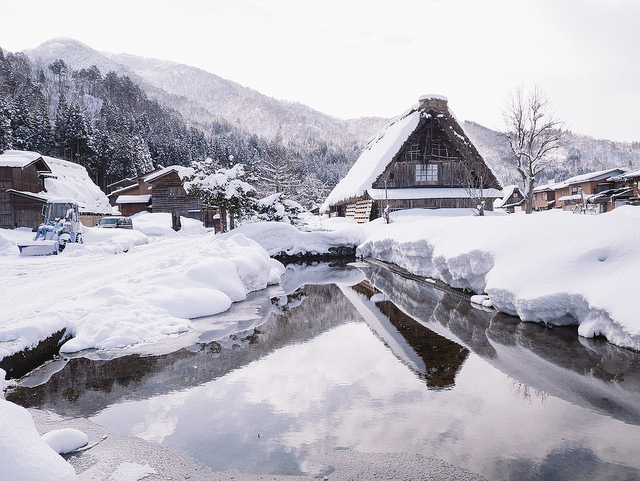 Another beautiful place to visit in Winter is Shirakawago, in the centre of Honshu. During the Winter, the hundreds of traditional farm houses there become covered in snow, creating a picturesque view that is immensely popular among winter tourists. 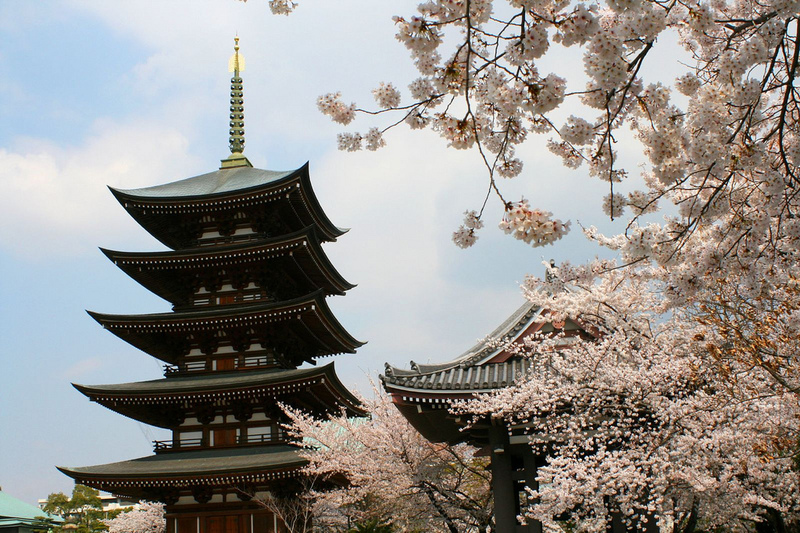 As far as weather is concerned, Spring is a glorious time to travel in Japan. While some of the original coolness of Winter remains, the overall temperatures are mild and the air relatively dry all across the country. Also, Spring is when the cherry blossoms bloom, so the picturesque and amazingly fun Hanami (Flower Viewing) festivals are always in swing. There are a few things to bear in mind, however. Firstly, March is when schools break for their 2-3 week long Spring holidays, meaning that many of the tourist spots are very crowded during this time. Also, May is when the rainy season (tsuyu) starts in more Southern areas of Japan such as Okinawa, meaning that visiting the Okinawan beaches might be out of the question then. 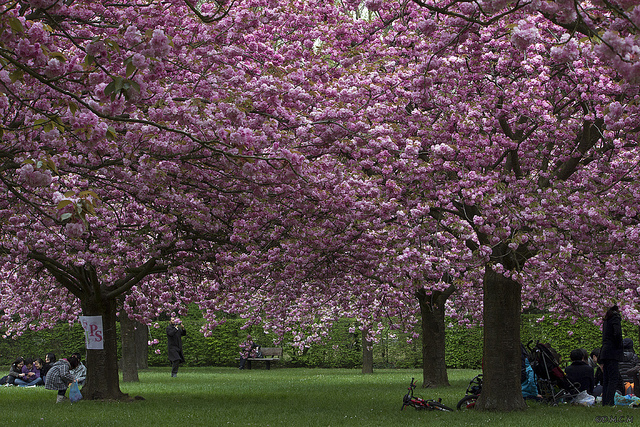 If you are aiming for a holiday all around Japan while Hanami is on, April would be the most ideal time. While Summer in Japan is really fun, weather-wise it can be difficult to navigate. Firstly, the rainy season starts in May and finishes at around mid-July, meaning that most of scenic Japan is not fun to go and see. To avoid the brunt of the rain one would be best off travelling in Hokkaido, which is not as strongly affected. Once the rainy season ends, temperatures often reach 38 degrees celsius or higher, and this weather is almost always very humid as well. On top of this, July and August are when the Summer holidays are on, meaning that most tourist attractions will be extremely crowded. Having said all of this, July/August is probably when Japan is most frequently visited, and this is not without good reason. Popular tourist attractions like Mt Fuji are open in Summer, and Summer is also when Japan’s most exciting festivals take place. 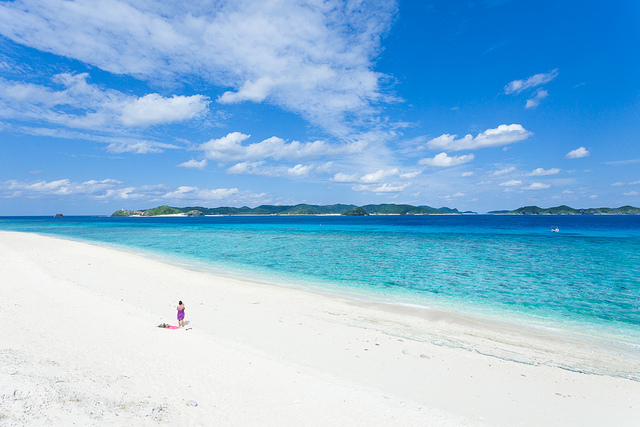 Also, if you are fond of beaches, Summer is the best time to travel to Okinawa and experience the glorious clear waters and soft sands of the beaches there. Of course, if you want to visit Okinawa in the Summer, you will have to make sure you go before the start of typhoon season in August. Once Typhoon season disappears (normally in late September), the Autumn weather, while still warm, tends to be dry and mild. As well as this, because the summer holidays are over and the children are back at school, the insane summer crowds have normally disappeared with them. 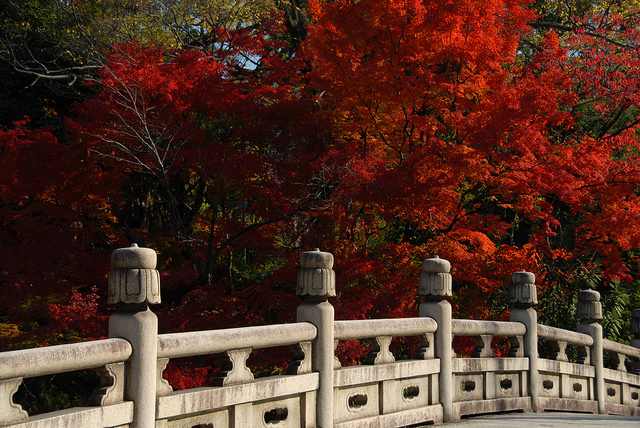 In many ways Autumn is the most quiet time of year in Japan. There are not many festivals on, it is a busy time for school children and salarymen, and it is right between the hot excitement of summer and the celaboratory season of New Year. But if you are keen to go on a general scenic holiday around Japan, visiting all of the most famous cities and drinking in the sites without massive crowds hindering you, Autumn is the best time to go. As well as that, Autumn is the season of Momijigari, or “leaf-hunting”, which is similar to Hanami but with falling autumn leaves instead of cherry blossoms, making for a Japan that is as scenic and beautiful as it is during the Spring. So while there are certainly positives and negatives about travelling in Japan during any season, at Japan Centre we rationalise that, regardless of when you are in Japan, there will be some amazing and unforgettable experiences to be gleaned. Happy travelling, everybody! Posted in Travel and tagged japan, Japan Travel Guide. Bookmark the permalink. Since Japan has four seasons it is a must to know which months is low season and which months is in high season (of course to save money in some cases). Somehow I am leaning with the spring season (although this is high season) because of the beauty of Cherry blossoms. I might also consider the winter season so my family can enjoy the snow! Snow screams fun!